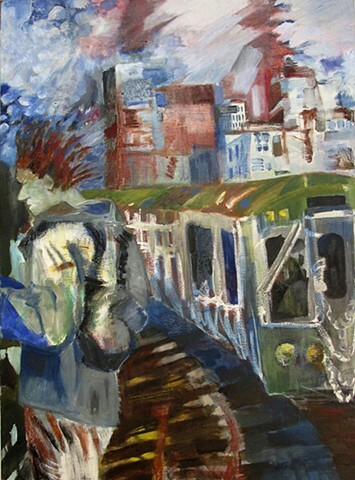 This painting depicts a moment in time, - a person waiting for his train on the elevated platform of Chicago Brown line. It's a stormy day, the city in the background continues the movement of the character's flighty red hair while a train is approaching. Acrylic and oil on canvas. Does not require framing. Ready to hang.